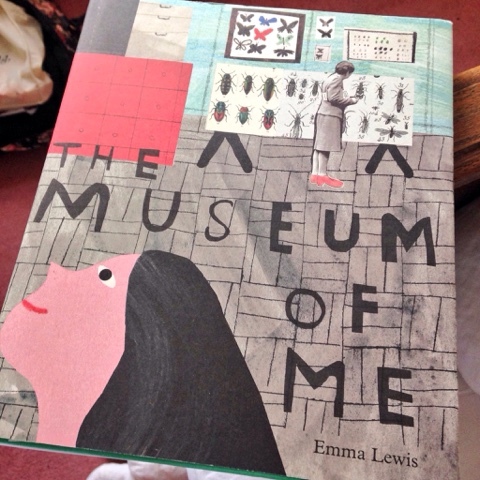 This month debut author and illustrator Emma Lewis has published a new book with Tate The Museum of Me. We are always on the look-out for accessible and inspiring books to accompany our museum visits and this one is truly original and enchantingly illustrated. It's the sort of book that has left us pondering for days, as every good book should. 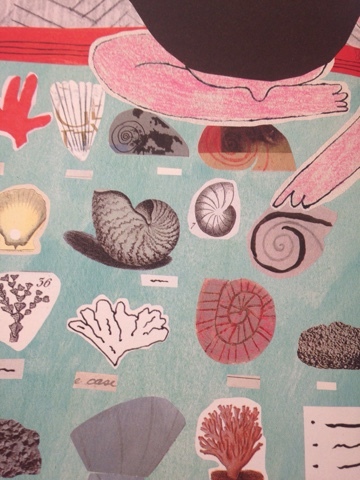 Inspired by folk art and Scandinavian design, Emma Lewis uses a combination of illustration, collage and photographs to take us on a simple journey through the various sorts of museums at our fingertips from the British Museum (stuffed with antiquities), the Natural History Museum and its wealth of specimens, Art Museums and Science Museums to the sorts of places we might not think of as such - botanical gardens and growing collections. Though we can instantly recognise many loved London places and spaces in this book, it is transferable to many other cities and collections. Manchester University Museum, Kelvingrove, or Royal Albert Memorial Museum Exeter, for instance, with their breadth of collections in one building; parks and gardens - such as Kew or the Yorkshire Sculpture Park; living museums; and small local exhibits (which are covered too). This clever book, which is intended to get us to think about the reasons why we collect and preserve objects, then takes us rather closer to home. At the coda we are presented with another sort of precious space - our own museums created with the meaningful items of our own lives. The artefacts we choose to surround ourselves with in everyday life, and particularly those we treasure. What do the things we collect say about us? At the beginning of September to celebrate the launch of the book, Tate challenged us to gather our own Me in Five Objects collection. This was so tricky to find just five things that speak about our passions, background and personality. We were discussing it for days until we finally set up our little Museums of Me. Culturebaby chose her ballet shoes, violin and swimming kit, her paints and a picture she'd drawn of her family. Culturetot selected her Today Book (her diary), favourite doll, ballet shoes, swimming costume and a photograph of her nursery friends. 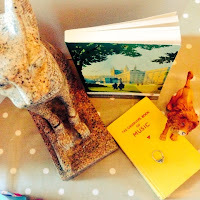 I changed my items several times for those with multiple meanings and settled on my engagement ring (representing marriage, family and my love for Art Deco), an Egyptian cat (Egyptology and felines), a guide to music, my favourite book (Brideshead Revisited by Evelyn Waugh) and a model of Aslan (children's literature and faith). 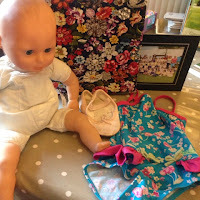 What a lovely exercise and great opportunity for dinnertime discussion with the family and chance to really explore with the girls what they really love. To celebrate this fabulous book, I thought we'd share some further ideas for DIY museums. One of our favourite activities, either after a museum visit that we wish to re-live, or often at times when we are unable to venture out for the day but wish we could, we create our own museums at home. From modern art to jewellery, science and fashion to antiquities and sculpture, these are all so simple to create and incorporate into imaginative play. 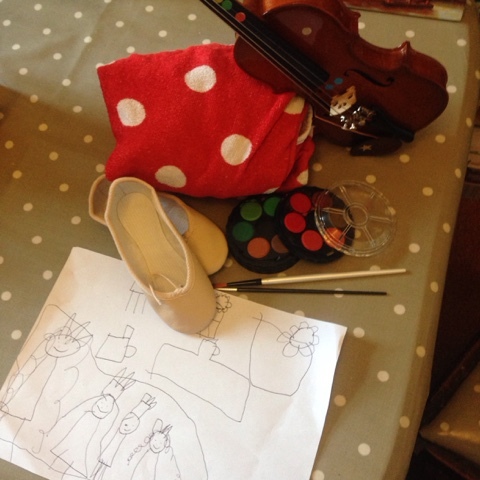 We saw this wonderful idea online a long time ago and we have used it over and over to re-live visits to the Tate, create Mummy rooms and treat a host of play characters to an educational visit. 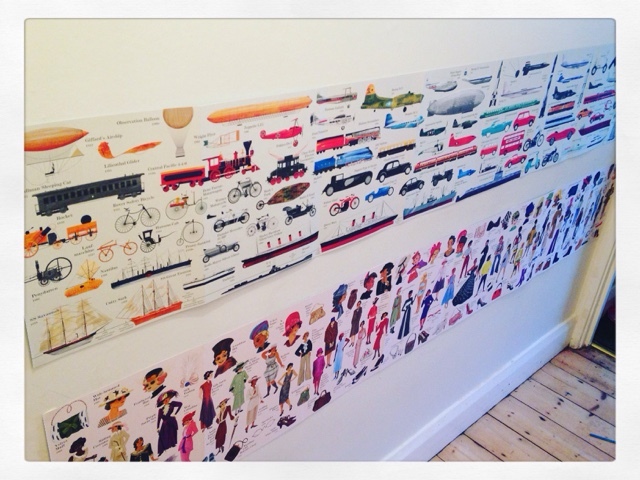 The simplest way to do this is simply with a large shoe box, blue-tack and a selection of postcards. When we've been to an exhibition the girls choose a couple of favourite postcards, or for particular blockbusters I buy a postcard pack. We select favourites to display and you have an immediate playspace for small characters. You can join several boxes together - the girls are rather keen on creating the necessary cafe space too! Doll's houses can be easily converted into gallery spaces in a very similar way to a shoebox museum. The beautiful book Henry Tate can serve as great inspiration for how a home can become a gallery, as can trips to spaces such as the Wallace Collection and other house galleries. We particularly like using part of my old Galt house from my childhood - it can easily be set up as a four room open gallery with thematic rooms and a cafe. 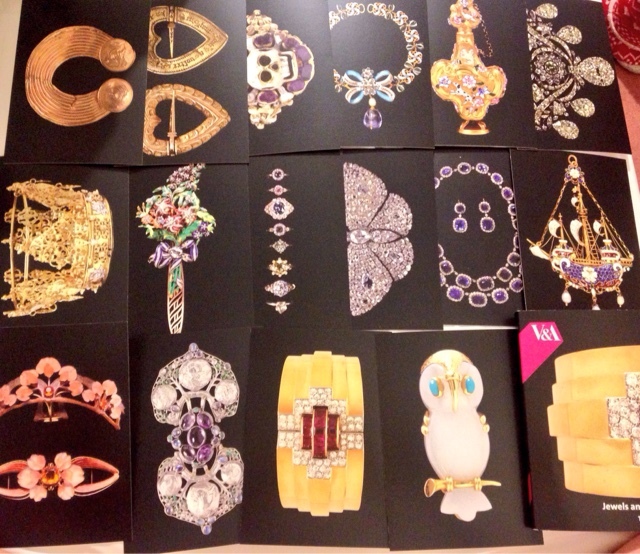 We have a number of wonderful books that open out to reveal timelines of historical objects or strings of art works. 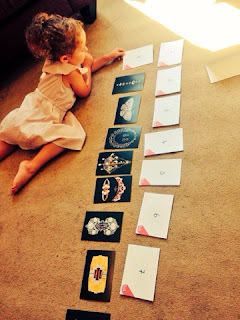 These are so simple to set up and can become immediate mini museums. The most effective and regularly used we have is Art for Baby Colour - a box containing four mini concertina galleries in each of red, blue, yellow and green and featuring 44 works by leading modern and contemporary artists. 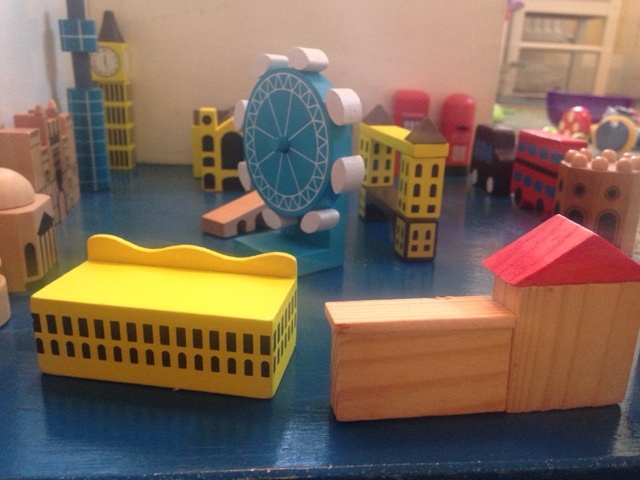 These can be easily moulded into room shapes and corridors for miniature characters to navigate. Similarly the sister book Planes, Trains and Automobiles by Mike Lemanski has been used as a backdrop for our own science museum transport galleries at home using some of our favourite resources - Safari Toobs (miniature educational models). The Disney Princesses, led by bookworm Belle, trooped round the exhibits - each identifying their favourite train or plane - and watched with delight our miniature moving railway exhibit. Culturebaby played happily with it all afternoon.We've also done the same sort of thing with DK's Play Dinosaur (card landscapes). For a couple of the Tate Modern's blockbusters I have created felt works of art for the children to explore and re-create in the galleries in front of the original paintings. These are really useful as they can be transported easily and don't involve pens or other art materials in the galleries. I've done Matisse's La Gerbe and Malevich's Dynamic Suprematism. We've also produced Mondrian lolly-pop arrangement (an idea spotted on the internet). These DIY art works are accessible for younger children and can also be used afterwards at home. I was also really impressed when we visited Exeter's Royal Albert Memorial Museum in July that they have created a similar sort of resource using felt versions of iconic items in their museum, and children were invited to select and place these on large black backgrounds. I think I may try to replicate this idea at home. 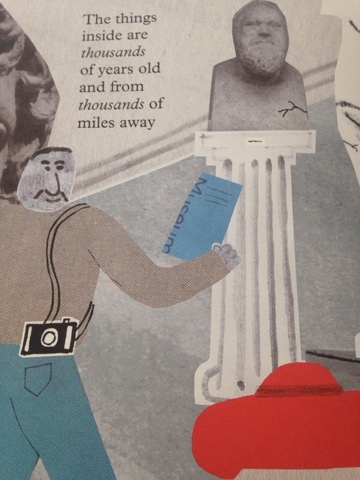 Culturebaby has become really interested in the concept of stratigraphy and chronology. 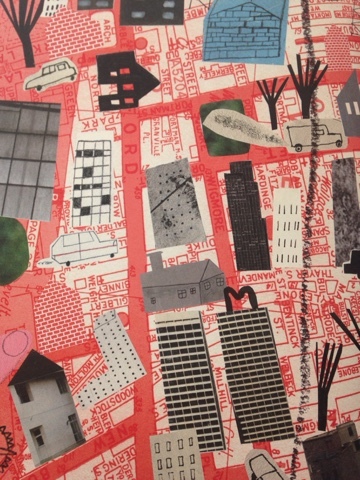 What came first, how do streets change with time, what is older and younger? At a recent visit to the V and A, she particularly loved the jewellery galleries. 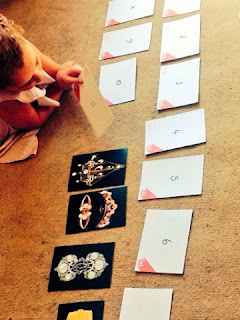 I purchased a postcard pack featuring 16 different items of jewellery, ordered and numbered these on the back, and created a simple numeracy and ordering game to put the artefacts in the right date order - relative to each other. This has been surprisingly successful. Once the children have been in the habit of setting up their own museums, they have increasingly improvised with interesting results. 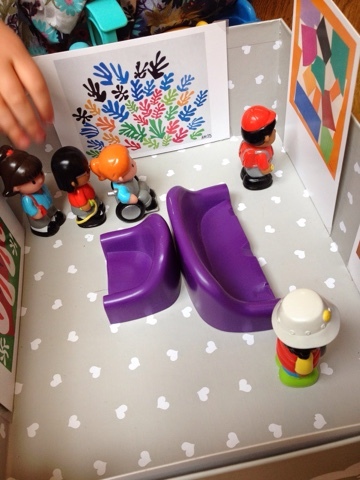 When we studied Calder (see HERE) Culturebaby created a series of sculptures with a box of Shapescapes ("Sculpture in a Box") and turned this into a Sculpture Park for her miniature dolls to explore, climb, ride and discuss. As a child (and adult) I've always loved Galt's Octons, a great construction tool made up of various coloured 8 sided shapes. There are all sorts of materials that can be used to create a colourful landscape of interesting miniature art. 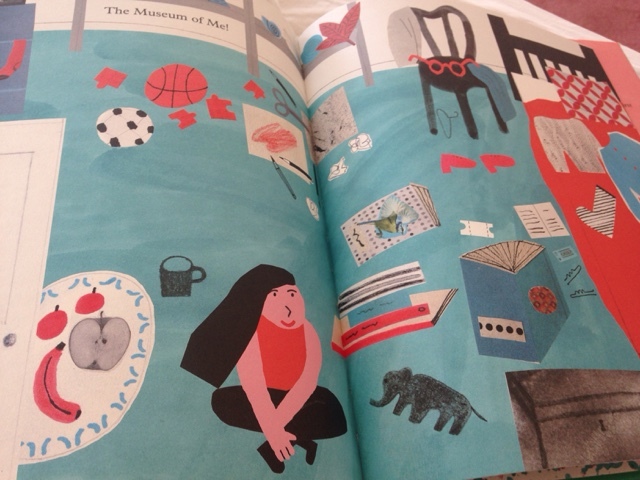 Disclaimer: We received a copy of The Museum of Me for review purposes. All opinions are entirely my own.